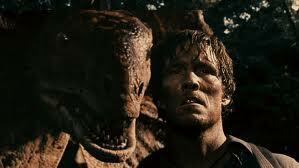 The Dinosaur Project Blu-ray Review There’s really only one word to describe The Dinosaur Project: Daft. Daft’s not a word I generally use but it seems most fitting here. Despite having a title that sounds like a mediocre current affairs show featuring Dave Hughes and a Velociraptor, The Dinosaur Project is a low budget release with rather lofty ambitions. Presented in the now stale “Found Footage” format, does this foray into the rather narrow field of dinosaur films have the chops to stand shoulder to shoulder with such luminaries of the genre as Jurassic Park? In a word? No. 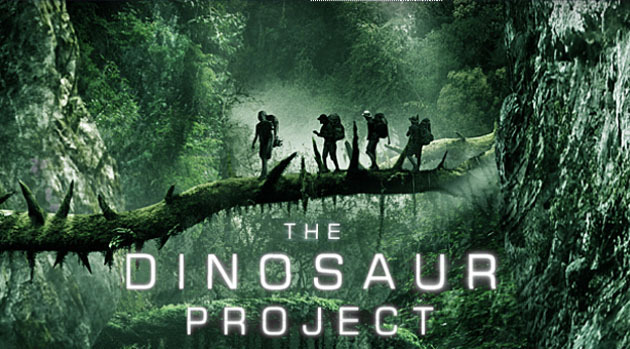 Despite stretching the budget to afford some beautiful scenery and competent, if not overly impressive, CGI, The Dinosaur Project is hamstrung by the clichés and tropes of not only “Found Footage” films but also that of “Adventure” films in general. The film’s biggest Achilles heel is its predictability; from the opening ten minutes you’ll be able to spot all of the familiar character archetypes, particularly the character that inevitably has a breakdown and turns on his fellow crew. Literally from the first scene this character appears in you know that he’ll end up snapping and you find yourself just waiting for the “twist” to happen so you can get it out of the way. Unfortunately much of the film is a plodding mess, with some incredibly cheesy moments, such as one character’s supremely pointless self sacrifice or another character who decides to inexplicably go Rambo armed only with a boom mike. The cheese factor extends to the dialogue and most of the performances, with only Matthew Kane as the young Luke Marchant standing above the daytime soap delivery of many of the performances. The plot is Jurassic Park-Lite, following members of the British Crypto-Zoological Society as they venture into the Congo in search of the Mokele Mbembe, a cryptid that bears striking similarities to a dinosaur long thought extinct. Consisting of world renowned explorer Johnathan Marchant, his sponsor Charlie, local guide Amara and her helicopter pilot husband and medic Liz, the group helicopter into the jungle in an attempt to track the creature down. Along the way they discover that Johnathan’s son Luke has stowed away in an attempt to get closer to his emotionally (and literally) absent father. After a collision with a Pterodactyl, the crew find themselves stranded in a jungle filled with hostile carnivores that have broken through an apparent gateway to another dimension, a taboo place known only to the African natives who have tasked Amara to ensure that the expedition doesn't stumble across it. The POV filming style is competently handled but the picture is much too clean to afford the film the look of truly found footage. Despite supposedly switching between multiple cameras, there just isn’t difference in image quality to believably present the film as being patched together as found footage; it all looks like it was filmed with the one camera and had some budget effects added in post production. The characters are thinly drawn and their motivations are dubious at best; Amara’s presence being particularly superfluous, with no attempt to explain her agenda. Also, Johnathan is clearly cribbing his fashion style from Alan Grant. But easily the worst part of the film is turning the vicious, spitting Dilophosaurus from Jurassic Park into the equivalent of a Dino-Lassie, complete with Disney eyes. The Dinosaur Project is not entirely without merit, but I don’t think Universal will be casting furtive glances over their shoulders when they finally get the ball rolling on Jurassic Park 4. The Dinosaur Project has an incredibly detailed and vibrant image that highlights the beauty of the jungle and its surrounds. Icon’s transfer can’t be faulted in any respect there’s no evidence of artefacts or strobing and the colour tones remain consistent throughout. On the other hand, The Dinosaur Project is supposed to be a film composed of found footage, so the glossy sheen of the picture serves to detract from plausibility somewhat. This is more of a production issue rather than an issue with the transfer, of course, which really is of impeccable quality. Audio is handled by a DTS-HD Master Audio 5.1 lossless soundtrack, as per usual. Dialogue is delivered clearly and sound levels are consistent throughout, with no crossing over of channels. The roars of the dinosaurs and ambient sounds of the jungle are particularly well handled, although some scenes lack “weight”, so to speak. There are no additional features on this release of The Dinosaur Project, unless you count an audio test. There’s really only one word to describe The Dinosaur Project: Daft. Daft’s not a word I generally use but it seems most fitting here. Despite some beautiful visuals and an intriguing premise, The Dinosaur Project is an amalgamation of a myriad of influences, borrowing liberally from Land of the Lost, the aforementioned Jurassic Park and many, many more. 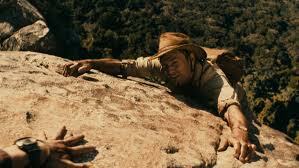 The end result is a generic trek through old ground that, even at a scant 83 minutes, manages to wear out its welcome. There’s no question that the audience is starting to tire of the found footage concept, but recent entries like Chronicle show that a decent concept and considered execution can still equate to a great film. 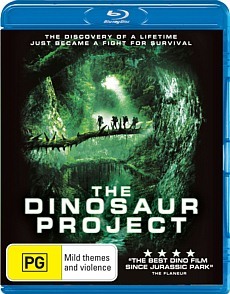 Although a straight-to-video release on our shores, The Dinosaur Project did do exceptionally well in the international market, showing that there’s clearly an audience for this kind of film; unfortunately, I can’t count myself amongst their numbers, finding it to be a disappointing realisation of a potentially rich premise.